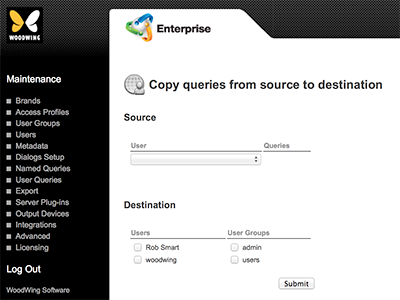 Whenever a user creates a custom search in Smart Connection or Content Station, the query is saved to Enterprise as soon as the user logs out. It is then possible to make this query available to other users or user groups. Tip: Use this method to share custom searches made by power-users and/or to share types of searches that are often used such as a search for locating recently modified files. For information about creating a custom search, see Searching for files using Content Station 10.